If I had a dollar for every hose that our household has bought, I'd be a multimillionaire. 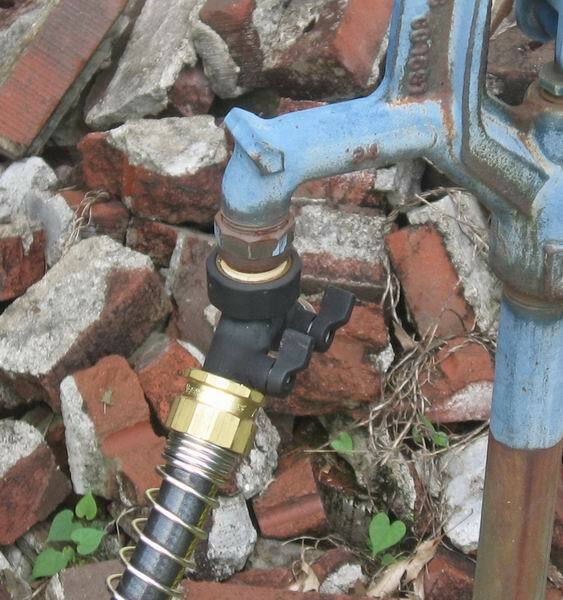 In some horrible twist of fate, our main spigot sits on the side of our house. Right along the driveway and directly in full sun. That's the standard HOT Virginia summer sun. Never mind the constant cars driving over said hose and occasionally the nozzle that's attached. So Sunday afternoon (in the middle of a floor home improvement project ) our occasionally variant water pressure decided to surge and blow out yet another hose. Water everywhere. Increased the humidity by 1000% (if that was possible). 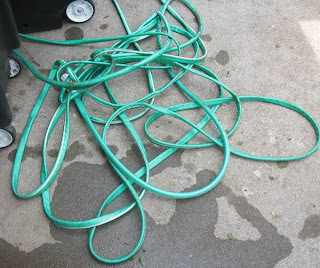 So, off to Lowe's to buy yet another hose. 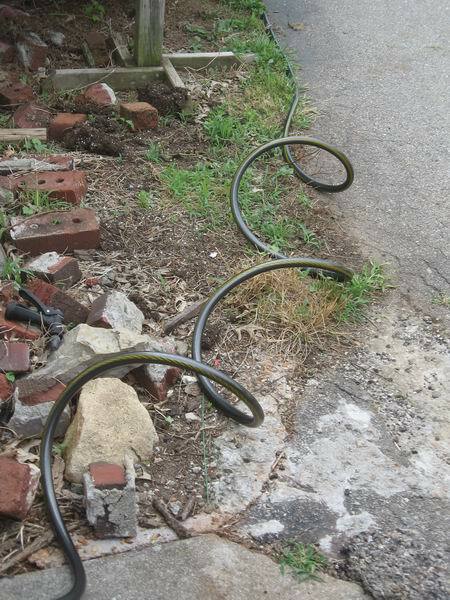 Thought I'd gather up the dead hoses and dump them on the way. These two filled in temporarily -but one's a marine hose and can't take constant high water pressure (the husband power sprays everything). The blue one isn't long enough to reach the Swing Garden. When I got back from Lowe's (pretty sure I'm their favorite customer, cause their faces light up when I walk in), with my new commercial $40 Guaranteed-Not-To-Kink hose, I hooked it right up. Ran it up the driveway, so the cars could find it. 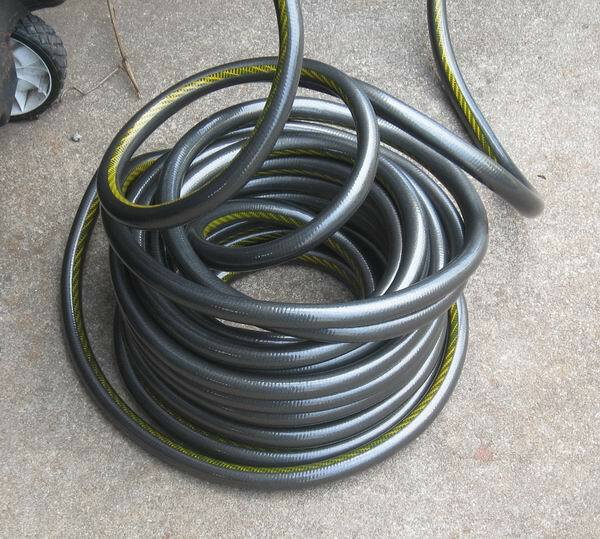 All 100' of heavy-duty, black, non-kinking commercial hose. Did I ever tell you about the soaker hose I killed with a hoe when I thought it was a snake? Thank you so much for the laugh today Carole, it was much needed! 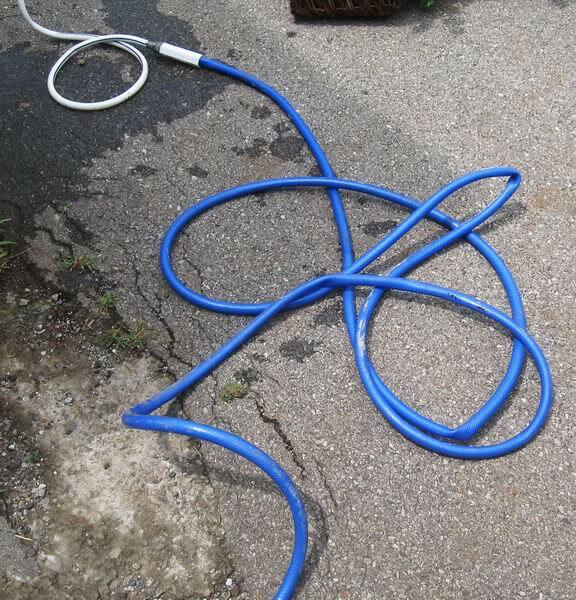 I really do sympathize, we tend to kill hoses pretty fast around here too. 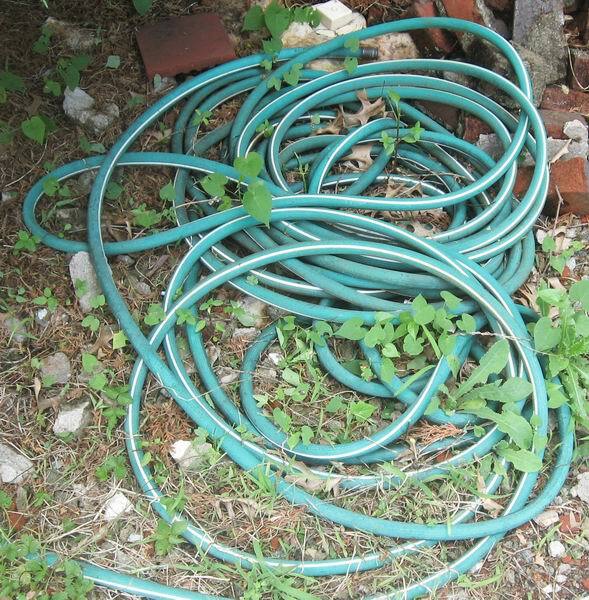 That's a lot of hose. I feel like I have hoses coming out of my ears during the summer. My husband always thinks we seem to need more. Nice post! I am currently looking for a good quality of garden hose. Thanks for sharing this post. I've got an idea.